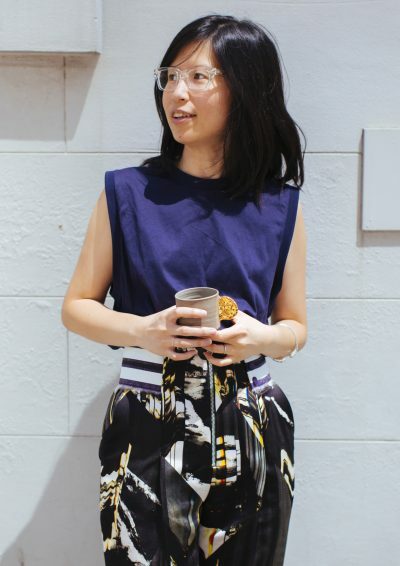 Book designer Evi Oetomo spent eight years at Penguin before opening her own studio with business partner Daniel New. She shares her career journey. Spending hours a day admiring typefaces, contemplating paper stock and deciding whether a rounded or square spine is more appropriate for that finishing touch are only snippets of the obsessive life of a book designer. And that’s probably how it all started for me. I began young. I was given a tactile pop-up book when I was a child, and rather than remembering the story, I was transfixed by the whole mechanism—how the type worked with the images and the whole thing came together as a package. Fifteen years on, I enrolled in a visual communications degree at the University of Technology in Sydney, studying a variety of graphic design streams. The university didn’t offer a specific publication design major, but I ended up writing, illustrating and producing a 300-page illustrated children’s book for my major project. After graduation day, all I wanted was a job in publishing, although I knew these were rare. There were not many publishing houses with in-house design studios, then or now. In the middle of applying for a job in advertising, I saw a little ad for a mid-weight book designer at Penguin Books. I knew I was under-qualified, but I went for it anyway and ex-Penguin Books art director Deb Brash took me on as a junior. The first things I worked on were producing dinkus illustrations and assisting various designers with mock-up pages for presentations. Most of my early tasks weren’t glamorous, but I learnt the fundamentals of book design by assisting my colleagues, and after a while I was given my own projects. I worked on a variety of book genres—fiction, nonfiction, children’s and adult. However, the genre-hopping stopped after a little in-house restructuring, and I was asked to work exclusively for Penguin Books’ illustrated imprint, Lantern Books, under the formidable publisher Julie Gibbs. At the time, my business partner Daniel New was the art director for Lantern, leading a small team of four designers producing 20 to 30 highly crafted books. There were about 15 staff in total, including designers and editors, working at an office in Surry Hills. Our meetings often (if not always) involved tea and cakes, or a dish from one of our photoshoots. It felt luxurious and surreal, far removed from the outside world, but we lived and breathed the lifestyle. We didn’t take it for granted though—every one of us worked hard, very hard. During the busy months of the year, you would often find us working past 10pm—with pizzas and Jatz biscuits, and music. It was a very special time and we were a (mainly functional!) little family. During this time, I feel I really honed my book design skills. 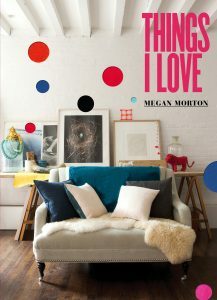 I could say that Things I Love by Megan Morton (published in 2012) was my claim to fame. The book won the Australian Publishers Association Best Designed Book of the Year and scored me the prestigious Young Designer of the Year in 2013. Of course, that didn’t happen simply because I was amazing. A great book is always a product of collective effort. A brilliant publisher, an imaginative author, eagle-eyed editor, superpower production guru (I have to mention Tracey Jarrett from Penguin Random House here—designers may make wishes, but she makes them come true! ), photographers, stylists, and the list goes on. This collaborative process is one of the main reasons I enjoy publishing so much. Another reason why I love publishing is that we book designers stick together. When the APA decided not to continue the Book Design Awards, a handful of book designers, including Sandy Cull, W H Chong, Miriam Rosenbloom, Alex Ross, Jenny Grigg, Daniel New and me, called a mini conference to cook up a rescue plan for the annual Book Design dance party—and that was the birth of the Australian Book Designers Association (ABDA). Now run by a rotating committee of book designers, under the helm of Claire Smiddy, ABDA continues to promote the brilliance of Australian book designers. The Lantern team was thriving and producing books we were all very proud of. We worked with Australian talents and brands such as Stephanie Alexander, Maggie Beer, Kylie Kwong, Wendy Whiteley, Paul Bangay, Karen McCartney and T2. As an imprint, we were in a hugely creative phase and each year the list grew stronger. I had been with Penguin for eight years, but unfortunately, this good thing came to an end. In July 2015, Penguin Random House decided not to continue Lantern as a separate publishing division and the majority of the Lantern team was made redundant. Part of the list was taken into the other Penguin divisions, and a few of us stayed on to finish these books. I had a special time at Lantern and I’d probably never have left voluntarily. But when I considered my next move, I knew I wanted to stay in the industry. On the day of our retrenchment, Daniel and I hatched a plan to start our own studio. After eight-and-a-half years sitting next to each other, bickering and collaborating on a daily basis, we thought it made sense. As of May 2016, we are working as partners under the studio name OetomoNew. We are now in our new Surry Hills studio, still collaborating and bickering, sitting on milk crates because we’re flat out finishing the Christmas titles. We hope to have chairs soon. When we do, please come visit. I’m currently reading A Little Life by Hanya Yanagihara (Picador). I now get all the fuss everyone is making around this title, it’s such a beautifully written piece.